I am just starting the build on my 2012 Jeep Rubicon Unlimited. Ace Engineering Pro series front and rear bumpers with light provisions. I'm sure there are more I would add to this list as well as pictures as my build progresses. Just in case you haven't seen it. Bham-jk and 4wheelparts are doing a group buy for gears. $1000 including install. Oh... and... Pics, or it didn't happen! I ended up not mounting to the ace engineering bumper. I mounted inside my license plate holder. 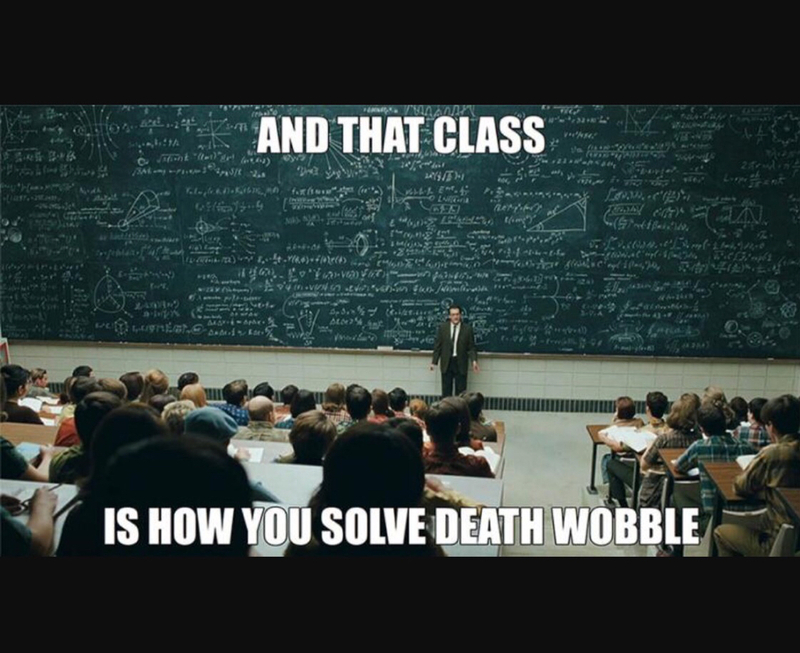 So finally getting around to dealing with the death wobble I've been having a while. It has gotten a lot worse which makes sense. I bought a new stabilizer to replace the one I crushed while at holy tree. 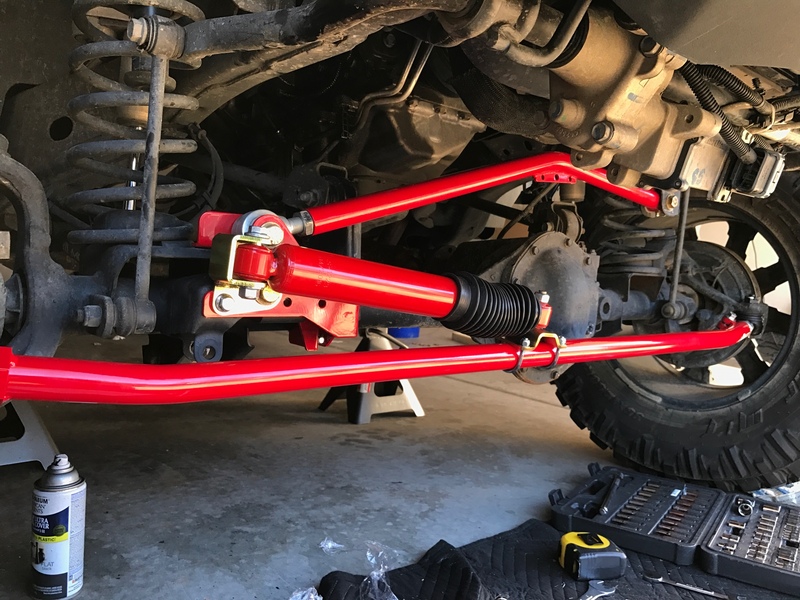 I also bought the drag link with flip kit, and tie rod. All of the ball joints are all one ton. This is nice because I will only need to carry one extra just in case. I'm not sure if there is anything else that will need to be replaced, steering wise, when I'm done. Anyway this is going to be the beginning of a long weekend. I think this deal expired last September. What about ball joints? The plastic bushing in the OEM ones are know for not lasting much past 50k miles especially with a lift and big tires. Yep, sure did.. not long after that post was made! HA! Got a lot done today, I'm waiting in the drill bit to come in to put the drag link together. Anyway here's where it sits currently. It's a bunch of red. Haha. I painted my Metalcloak damper black. What brand is the other stuff. The rest is Spohn Performance. They are top of the line in race stuff and are starting to get into off-road. The tubes are 1.375 OD and .28 wall thickness. They are BEEFY!!! They all use 1-ton FMJ greaseable ball joints. They are almost twice the weight of factory.